Here Lies Bridget is the tale of self-proclaimed princess of Winchester Prep, Bridget Duke. She’s one of the most popular girls in her class, but beneath that, she is a spoiled, insensitive, and manipulative bully. However, you wouldn’t know it if you asked her. According to Bridget, everyone treats her most unfairly, from her teacher who expects her to be (gasp!) on time to class every day, to her stepmother who wants to humiliate her by taking her out to the movies (horror of horrors!! ), to her friends who don’t even listen to her advice about what clothes would make them look less fat. Plus, her ex-boyfriend Liam hasn’t paid attention to her in like forever, and now he’s all over some new girl named Anna who’s nicer, prettier, and inexplicably more popular than Bridget! She just can’t take this injustice! 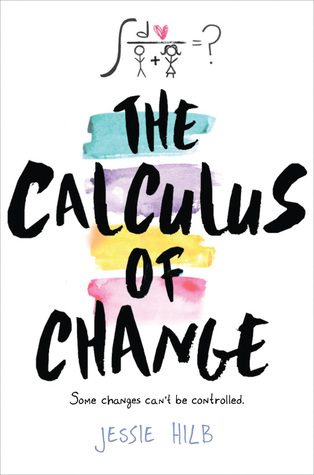 After a car accident, Bridget awakes to find herself in a strange boardroom between here and elsewhere, where she will see herself in a new light. And that new light must be fluorescent because it is harsh. This was a fun little read that I blew though extremely fast. Bridget is pretty awful for a good chunk of the novel, but it’s obvious that there’s more to her than just Mean Girl. Throughout the story, little snippets of back story reveal that she hasn’t always been the bullying popular ice queen as she would have you believe. She acts more out of fear of people finding out how vulnerable she is. It’s not the most original flaw in the world, but it’s definitely makes Bridget seem more like a real person and less like a one-note character. It also helps that this is from her point of view, because being able to hear why she says the things she says makes up for the fact that she also makes me want to slap her. So, you know when a character is that bad kind of character, with the bad attitude and the all-around Scrooge-iness, there’s always that Scrooge-y tale of redemption. In this case, existing in that here-but-not-here boardroom suspended in time, Bridget is able to see herself through the eyes of the people she’s hurt in the past. Once she hears her words without the context of her own thoughts, Bridget rightfully discovers that she’s pretty much the worst. Of course, she is given a chance to make right what once went wrong, hopefully before the clocks hits midnight and elsewhere becomes reality. 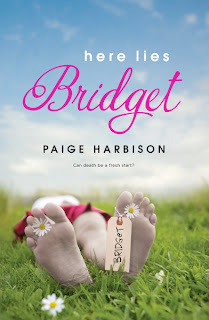 Here Lies Bridget isn’t going to change the world, but it will keep you entertained from start to finish. It’s funny and quick, full of relatable and real people. This is a great weekend read. In fact, I think it would make a great weekend movie too, so I’m glad to know it’s been optioned for a film. first, i'm totally creeped out by the cover. if it was just a dead girl okay, but why oh why did they have to stick flowers between her toes.. *gag* lol. I also hate this cover. It's definitely a brown bagger.